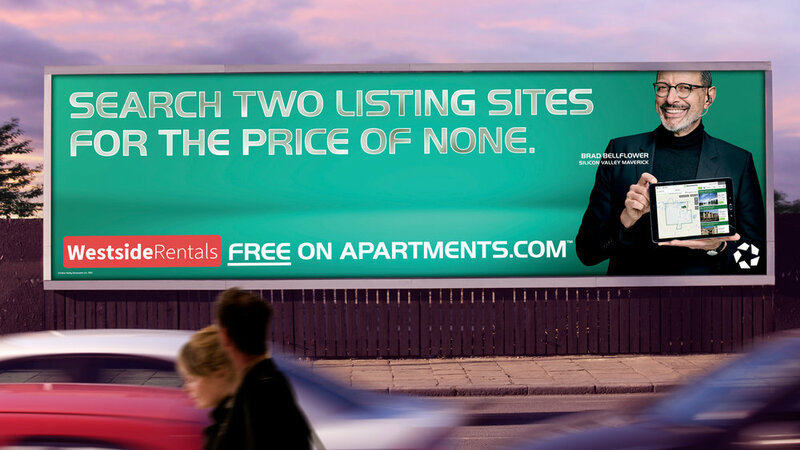 To announce that Westside Rentals was now available on Apartments.com for free, we used real (bad) Westside Rentals spots, re-dubbed by Jeff Goldblum as Silicon Valley Maverick Brad Bellflower. 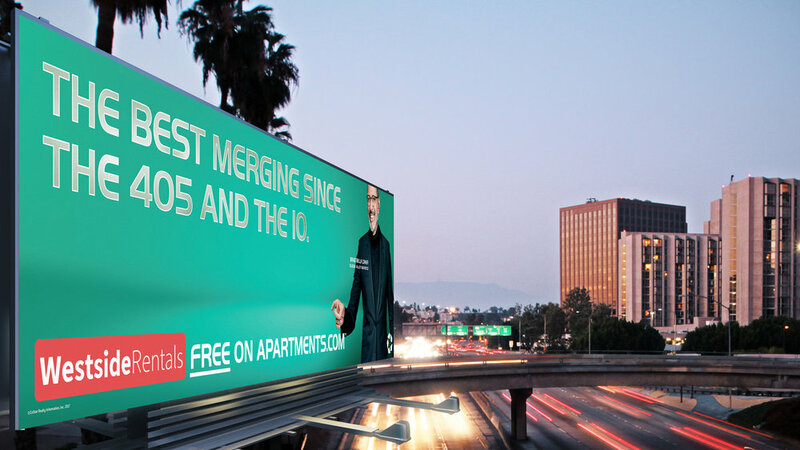 Brad (accidentally) interrupted Clippers, Lakers and Kings games at the Staples Center to transform Westside Rentals branding into ads for Apartments.com. Please forgive the low-quality, this video was captured on my phone during one of the games.